Sanju film focuses on my 1st and second description of him. First-half completely revolves around the messy life of drug addict, womanizer, an arrogant chap of successful parents, and in the second half, the story revolves in opposite direction to depict that while making blunders in life, he was Innocent and yaaro ka yaar by all heart. 2. Characters of his sisters didn't get any dialogue to say. Ranbir is always a busy actor, who challenge his abilities. After recent 04 unsuccessful films, he has bounced back pretty well. Bole to ekdam zakas acting kiyela hai.. His body language, a bearing of voice make you believe that he is indeed a Sanju baba. Vicky Khushal is soothing and funny in Sanjay's best friend's role. Basically, this character is based on his 02-03 best friends at various stages of life. It is good to see Dia Mirza on screen after a long time. But her role is not so demanding for acting skills. Anushka Sharma is looking fabulous in the role of writer, whom Sanjay Dutt seems almost beg to pen his biography. 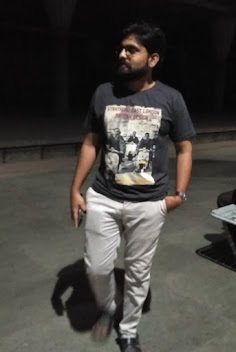 Paresh Raval is in the role of Sunil Dutt ji. He has tried his best, but at some level, it is not comparable to Sunil Dutt's personality. In every biopic, the direction has tremendous responsibility of recreating a reality of that persona. Rajkumar Hirani has succeeded in utilize Ranbir and Vicky Kaushal's talent. But he could have made it more intense in terms of Dutt's tuning with his siblings and prior wives. 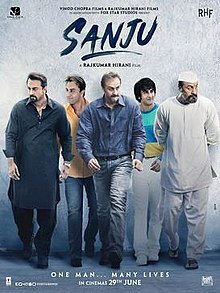 In this film, we should especially applaud to costume and make artists to create an aura of Sanjay Dutt in Ranbir. So what does Sanjay Dutt's biopic serves us? Truth? Or Selective Truth? Film makers know biggest judge for their deeds is viwers. So they come to us with this biopic.. To expect us purify image of Sanjay Dutt in our minds. a nutshell, Film is entertaining and one time watch. But it leaves a feeling of incompleteness at some level.